1833 CAPPED BUST HALF DOLLAR 50c **VF+** RARE US COIN. 1833 Capped Bust Half Dollar 50C O-115 R5 - PCGS VF Details - Rarity 5 Variety! 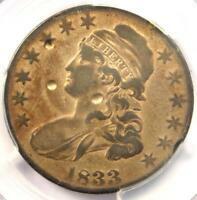 1833 Capped Bust Quarter 25C - PCGS AU Details - Rare Early Date Coin in AU! 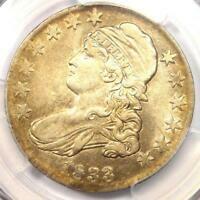 1833 Capped Bust Half Dollar, Very Nice Choice AU+ Silver Half! 1833 Capped Bust Half Dollar 50C - PCGS XF Details (EF) - Rare Certified Coin! 1833 Capped Bust Half Dollar, Very Nice Silver Half ** Nice Mint Luster, Sharp!